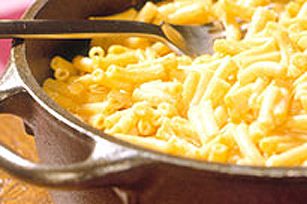 Kids can never get enough mac and cheese, so next time you go camping take a box of KRAFT DINNER Macaroni & Cheese! PREPARE KRAFT DINNER according to package directions. SERVE in small, individual pots that each camper brings from home.